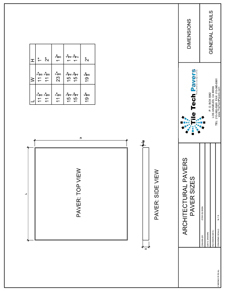 Green Roof « Tile Tech Inc. Tile Tech Inc. 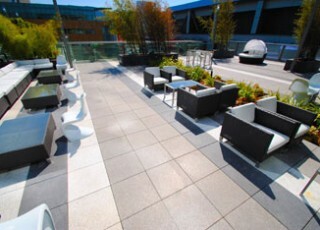 The concept of using concrete pavers as roof ballast, plaza deck and terrace pavers has created new opportunities for otherwise lost space. Roofs and decks can now be functional, as well as attractive. 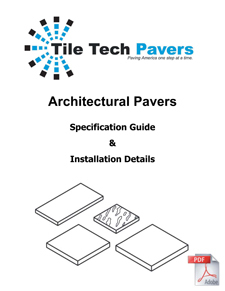 Tile Tech Pavers provide durability, protection and performance for the roof system from harsh weather conditions while providing drainage and a level walking surface. 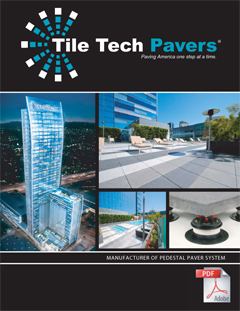 Tile Tech Pavers offers a solution for all roofing & waterproofing needs from standard Roof Decks & Walkway, to Architectural Plazas and Green Roofs. Functional design, color and durability all come together with Tile Tech roof and deck pavers. These Concrete paving slabs are available in an endless choice of colors and designs. 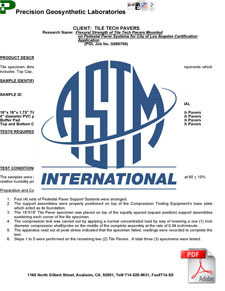 The surface can be polished or shoot for either interior or exterior applications. 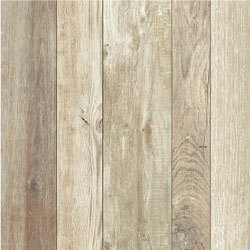 In addition to Architectural concrete pavers we now manufacture 2cm Porcelain Pavers and IPE Wood Deck Tiles. The popularity of energy-efficient roofs, or Green Roofs, is increasing as its value is appreciated. 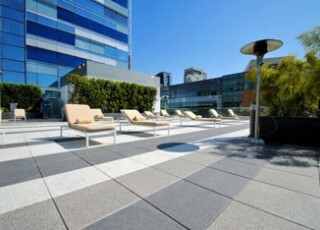 The intention of the Green Roof concept is to take otherwise heat producing areas, such as rooftops and plazas, and provide a cooler environment. The result is a cooler roof decreasing the buildings energy consumption and reducing the heat island effect. The Green Roof concept has seen wide spread acceptance within the construction community. StampTech Slate pavers have been designed to reproduce the texture, color and appearance of natural slate. Its irregular top surface was developed from actual sections of stone. IPE Deck Tiles are designed for constructing raised wood decks over exterior surfaces such as roof tops, terraces and plazas, in both residential and commercial applications. 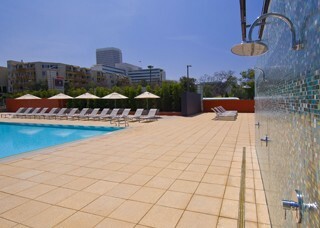 These pavers can be installed with pedestals or laid directly on the roof surface. They are available in a veriety of colors & finishes including sandblasted, exposed aggregate and stone textured. 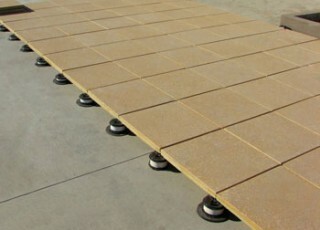 Roof Pavers are manufactured using a hydraulic press. 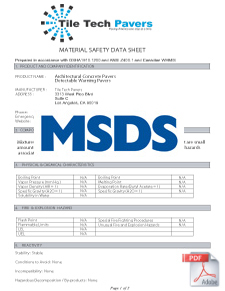 This results in high psi strength (>8,000psi) to withstand tough applications & climates & are highly suited for roof deck applications. 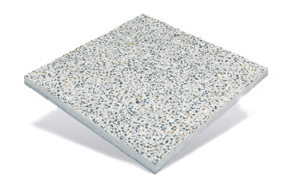 Roofing pavers are manufactured from recycled crushed aggregate and cement resulting in a none hazardous & environmentally friendly product.